Now I&apos;ve seen everything! So far. By everything, I mean that I saw the Devil the other day with my own two peepers. Saw him? I actually attended a photo shoot with the Prince of Darkness himself. And I gotta tell you, he&apos;s not really that Dark. A little wordy, perhaps, but more on the personable side. A regular guy. Aside from the wooly legs and hooves. Seems things are heating up a little too much in Hell&apos;s Kitchen for old Lucifer, so he&apos;s decided to ditch out on that address way down south. Took the first step with a visit to Purgatory. 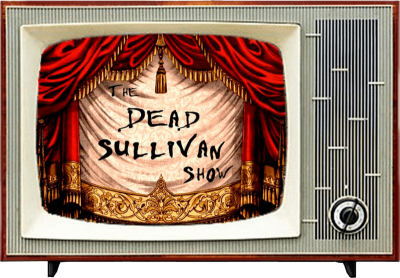 Dead Sullivan Studios. Maybe the old goat sees his name in lights.